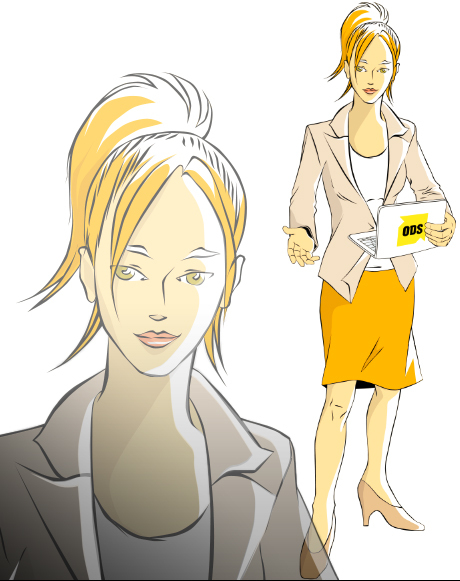 Character designs for ODS – Office Data Service GmbH embodying the main fields of work of the company. ODS provides B2B solutions for customer dialogue. For instance, the above depicted Ina Internet stands for the company’s handling of digital communication across diverse media, formats and platforms. project partner: Based on her analysis of the company’s workflow, Annette Weber developed characterizations and tasks for the symbolic figures, so I could develop visualizations up to fitting style attributes. project features: All of the characters produced for ODS are vector graphics, which means that they are infinitely scalable. This was the client’s request, since the characters are used for outdoor advertisement as well. All three characters are depicted at the ODS website. Characters embodying different stakeholders of urban patrimony for the World Heritage Management of the City of Regensburg. Character designs for user journey comics (cf. URBAN RESEARCH VISUALIZATION). For my award-winning manga short story “Heisses Pflaster”: Set in an alternative, 1920-ish city of Berlin, the story is about a disillusioned local commissioner working reluctantly with a foreign, Japanese assistant. 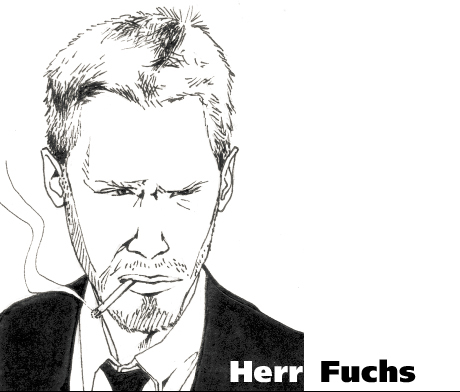 inspiration: Peter Fox had a breakthrough when he was singing an ode to his shady, beloved hometown Berlin: the perfect fit for my “Mister Fuchs”.